Traditionally, Tuesdays at HubSpot’s Inbound conference is where the founders, Brian Halligan and Dharmesh Shah, deliver a keynote and tell everyone when HubSpot’s latest product updates will go live across the world (of course, HubSpot Partners will have been “in the know” for a few weeks now). If you want to know more, you can find out more information about the announcements and HubSpot’s new tools by clicking the links below. But it isn’t just product updates and announcements on the second day of Inbound17. There are also breakout sessions where experts share their methods, tips, tricks and hacks – as well as offer training sessions to educate individuals and companies. Here, at Inbound, marketers can learn new approaches and improve the way in which they run their business – and that goes for sales too! At 10:30 AM on Tuesday, I attended a breakout session on “How to land fortune 500 brand clients while playing Xbox One”, delivered by Josh Harcus (@joshharcus) the chairman of Hüify. The session focused on how to communicate with prospects and leads in modern times and what tools sales professionals need to equip themselves with to succeed and build sales relationships. No truer words were ever spoken, but let’s break it down and look at sales relationship building with our prospects – and we can do that by looking at GPICA. Goal – we want to close top-tier enterprise/fortune 500 companies. Problem – these companies take years to infiltrate and engage with. Idea – we need to build deep relationships in a shorter time. Change – we need to be more strategic with our time. Actions – we need to use diverse methods of engagement, such as video calling, virtual interactions, unique experiences and personalised/thoughtful gifts. Though, you might be wondering, why would you want a large, fortune 500 brand as a client? Well, ultimately, the revenue! Of course, there are the additional benefits to having large, fortune 500 brands as clients: if you can demonstrate your abilities and build a strong relationship with them, other large businesses will go to you as a market authority and try to enlist your support. Once that happens, you’ll start to close more and more deals! But it takes time and it’s not going to happen overnight. Securing business with large enterprises and fortune 500 companies could take years, but if you are committed to getting yourself out there and up there, you need to be more creative with the way you sell to prospects and set your business apart from your competitors. Think about it, the average company (of any size) is speaking to about six (or more) of your competitors at the same time they are speaking with you. What makes you different and how are you approaching the relationship? Conventional methods of engagement leave too little to actually engage with. Not only does it show that you are behind the times, it also shows that you’re the same as every other business that engages that way. For example, according to Harcus, people have admitted on conference calls that 70% of them talk to other colleagues, 34% use social media and/or take other calls and 6% sleep. Clearly, “traditional” methods are quickly losing traction and don’t really allow you – or your client – to actually engage with each other. So, when it comes to sales relationship building with prospective sales leads (and large fortune 500 companies, if that’s your aim) think dating. 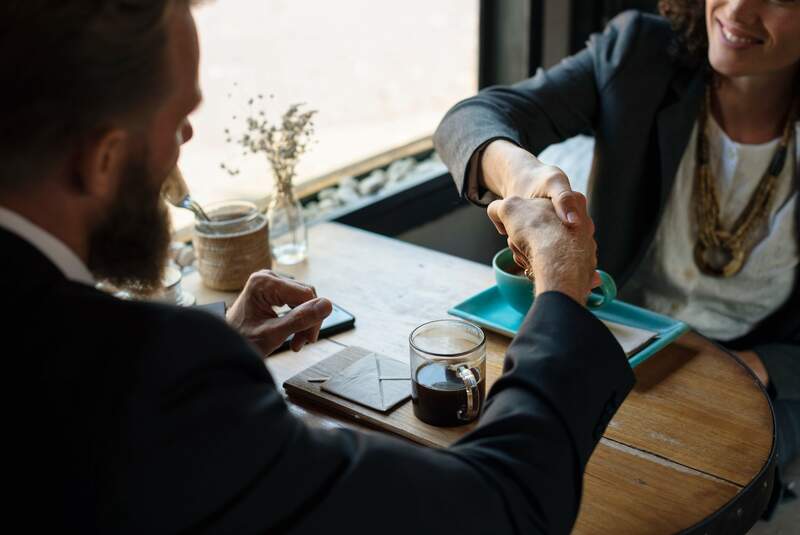 You want to get to know them and their business in the shortest amount of time possible – and you need to approach that relationship in a way that is different to everyone else’s. Utilise modern forms of communication, be more creative and think of unique ways to interact with clients. Stop booking business lunches that cost a large amount of £££; while lunch is great, that money could be better spent investing in the relationship. Prospects will not see the value in having a business lunch beyond satisfying their hunger. Get a coffee instead of sitting down. Get up and walk with your prospects. Converse with them and try to understand their needs, you’ll be providing much more value if you do. Spend your extra £££ on shared experiences with prospects – it’s about relationship building! Harcus provided an interesting Inbound sales strategy example where he landed a deal with IT services and solutions provider Futzisu, outside of the corporate “blah blah blah”, purchasing an Xbox One to converse with sales prospects. Harcus bought an Xbox One to open up another channel to chat with the guys at Futzisu outside of the corporate “blah blah blah”. They got talking via video chat and bonded over Battlefield 1. 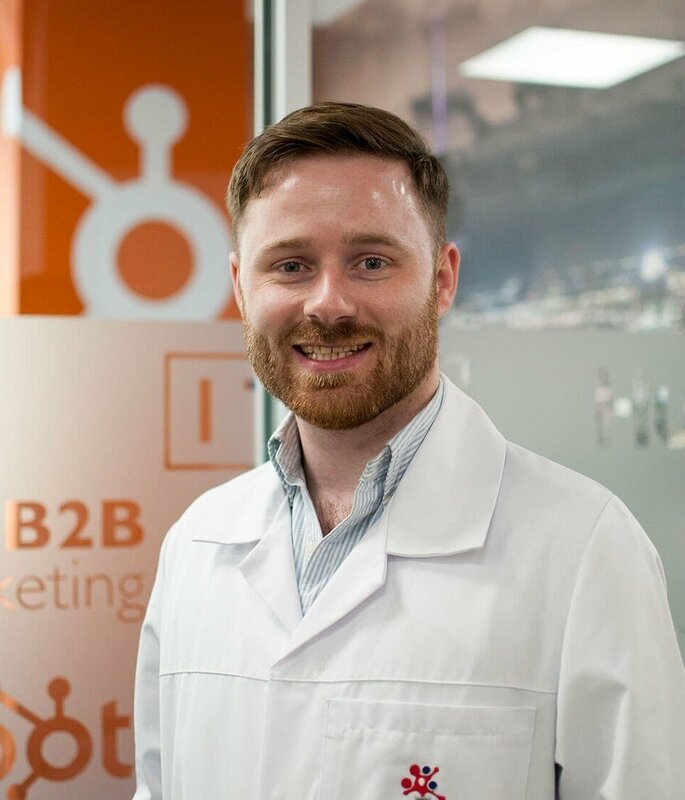 As a result of that bonding activity, Harcus managed to generate an Inbound lead, Justin, which was referred to him via networking and was then introduced to Justin’s boss. From that initial bonding activity over a video game on Xbox One, Harcus managed to get an Inbound lead which led to five opportunities being generated, each with a single sales value of $24,000, leading to $120,000 of overall revenue generated. Now, while I’m not saying we should all rush out and buy an Xbox One to converse and bond with our potential sales prospects, it’s important to appreciate Harcus’ message here which is to think outside of the box and to be creative with your sales approach to actually cut through the corporate blah. It’s not about selling, it’s about building sales relationships. You want to think about using video calls, virtual interactions – things like Snapchat, Instagram stories and even Xbox – unique experiences and personalised gifts. If you can cut through the noise and use creative methods to get into the “inner circle” of a business, where most business deals go down, you’ll be in an excellent position as a sales professional. If you’re looking to enhance your sales approach, it might be worth reading these books and putting them on your boss’ desk! But how do you get these people to your business in the first place? As methods of engagement are changing, you need to rethink the way you attract sales prospects - and that starts with a high-quality content strategy. But where do you start? Fortunately, HubSpot has developed a new tool called Content Strategy which brings a more structured approach to your content creation! If you want to find out more, click here.